Does This Make My Lunch Look Phat? 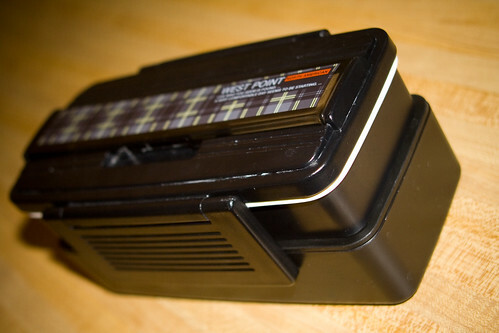 The bento box I used was one I got for Son a year or so ago, that he uses to bring lunch to work sometimes. 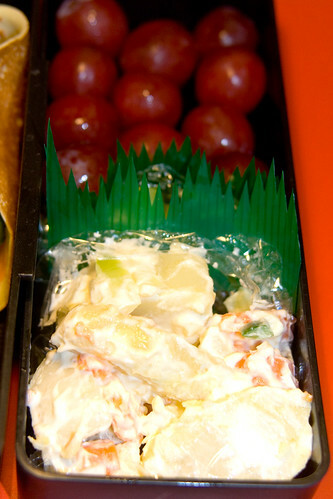 On the top level, there is Japanese Potato Salad (recipe coming soon), Japanese Pickles (recipe at bottom), and grapes. 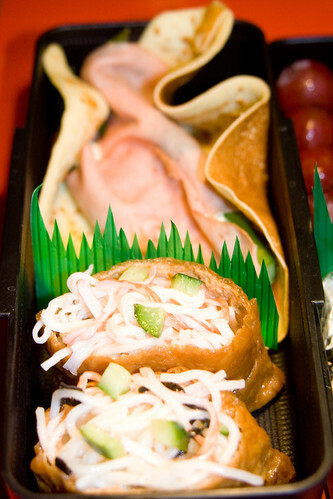 The bottom layer has Stuffed Somen Salad and a crêpe from my Taste and Create III post. 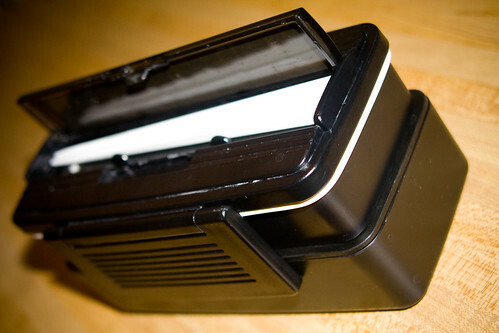 This one was filled with honey ham, steamed asparagus, and a cheese sauce (recipe at bottom). Mix all ingredients, let sit for 10 hours or overnight. Sprinkle with red chili powder, if desired. Enjoy! Stir all ingredients in a small saucepan over medium heat until melted. Serve over steamed asparagus, or most any other steamed vegetable. Oh that looks so good! I can’t wait to get the recipe for the Japanese potato salad- Mitsuwa wanted 12.99/lb. for it!!! And theirs was much more mayo-y, which is kinda not cool… I mean I like mayo but it’s a bit much. Anyways, looks delicious!!!!! Thanks for participating! 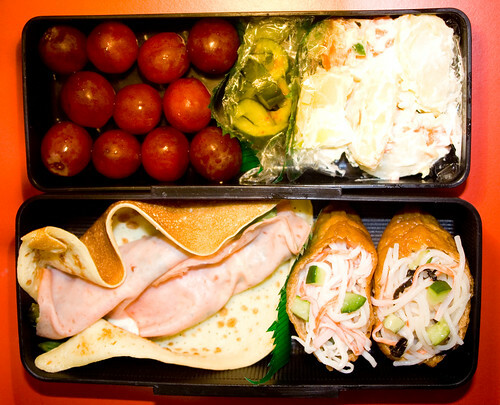 I love the idea of a bento box thing to take to work but I’m afraid of microwaving it! Luckily for this one, all the foods can (and mostly should be) eaten cold. I had it the next day, cold, and it was delicious!